Block ice is an ice type created by immersing cans filled with fresh water in a brine tank. The temperature of the brine is -10°C, which causes the water to freeze into solid blocks with a temperature of -5°C. Block ice is mostly used for (sea)food cooling. 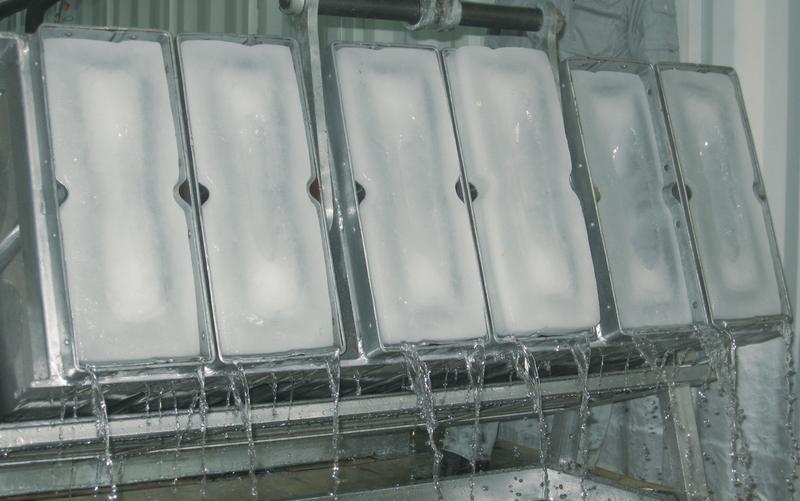 One of the reasons for block ice’s popularity is the fact its form allows an easy handling. It can be easily transported for a long distance without refrigerated vehicles. Recom block ice machines are made for commercial and industrial application and have been designed to produce clean and fresh block ice in a trouble free manner.